Summer vacation is in full swing and we will be missing a few diva's this week. We hope you are able to squeeze in some stamping time among all of the wonderful family activities. Today is the last day of the current Stampin' Up! catalog. It is the last chance you have to purchase many favorite retiring stamp sets, colors and many accessories. Take one last glance through your catalog and contact your demonstrator to get those last items. 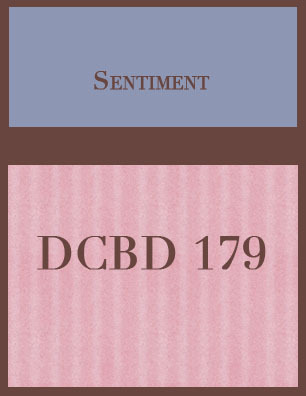 Then tomorrow, the fun begins with a whole new book with a wonderful color renovation. This week we have a sketch challenge for you. We hope that you are able to take the challenge with us and stay out of the heat and stamp! Welcome Back for another edition of the Diva Coffee Break Designs Challenge. 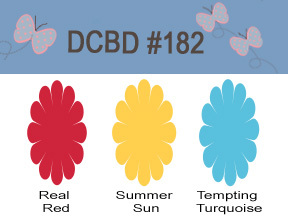 Summer is officially underway here on the northern hemisphere and we have a fabulous color challenge to celebrate it! 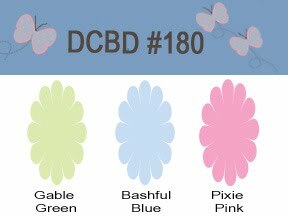 We have chosen a magnificent array of colors from Stampin' Up! to highlight the season. The colors are so bright and fun they remind me of a beach ball. Remember there are just a few more days left to get Summer Sun products as they are one of many colors that will be retiring on the 30th. Be sure to check with your Stampin' Up! 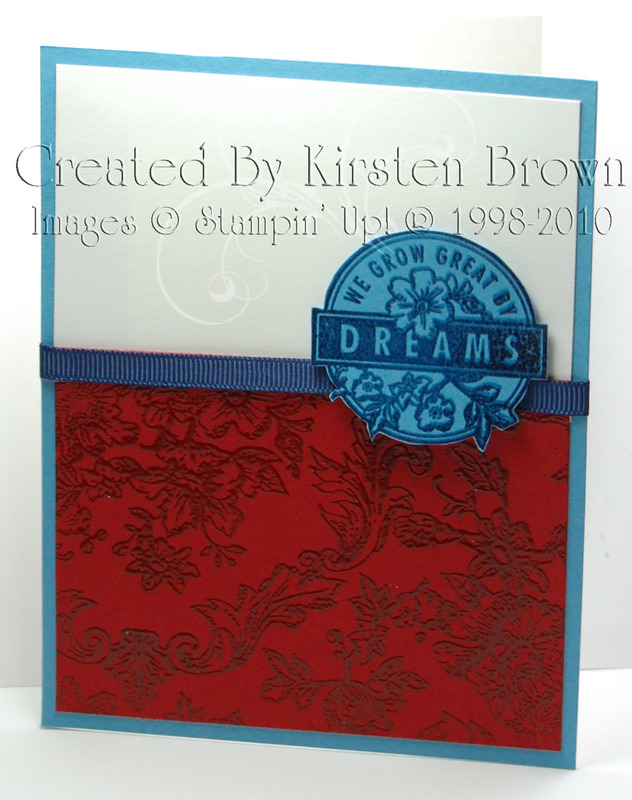 Demo if there are any colors, stamp sets or embellishments that you need to get before they are gone forever! Now on to the challenge! Who is our next Featured Artist??? Why, it's Tammy Clarke! Thanks for playing along Tammy- your use of the Vanilla Smooch Spray and the brand spankin' new Level One Hostess set, Because I Care, together are just beautiful! Love that sparkle! Be sure to join us again on Wednesday for another Color Challenge. Show us what you can do! 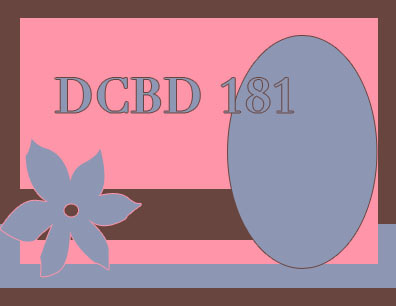 Welcome back to another fabulous edition of the Diva Coffee Break Design weekly challenge. There are just a few more official days of spring left, the summer solstice is just about here, the days are getting longer and warmer, the grills are getting use, family vacations in the works, and hopefully we can all squish in some great stamping time. This week we have a fantastic sketch for you. Check out some great samples we have created for you and then create your own, we would love to see what you can do with the sketch! That's right Erica Cerwin, of Pink Buckaroo Designs, you are the Diva's Featured Artist this week with this lovely card you shared with us!! So many fabulous unique details that make this card a real stand-out! Thanks for playing along with us Erica and everyone else too! 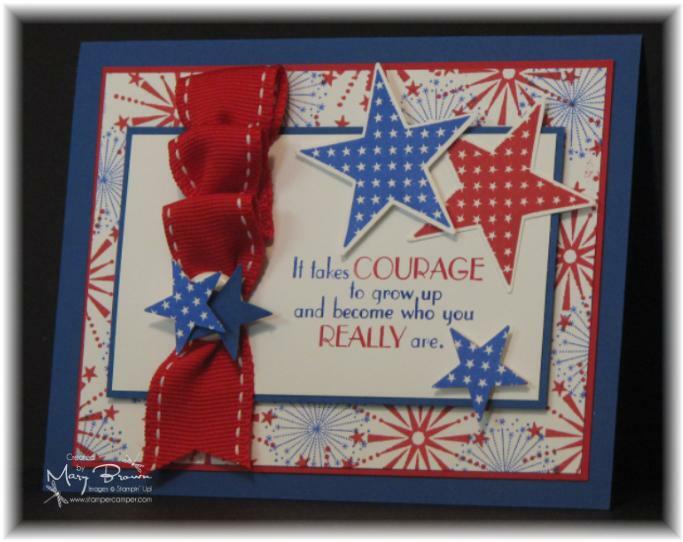 Be sure to check out her blog for other great creations! See ya back here tomorrow with another fabulous Diva Challenge! Happy Wednesday Morning Stampers! Summer is just around the corner, graduations are starting to wrap up, and school children are attending their last days for the year, what a great time to get some stamps out to play! Today I took my stamps outside and stamped on the patio table while the kids played outside. 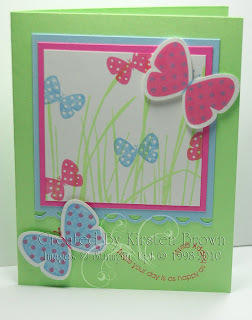 The weather was a wonderful inspiration for my stamping. Hopefully you are seeing wonderful weather where you are, and if not you can come visit me! This week we have another fabulous color challenge. Two of these colors are going to be leaving us soon, so if you cant live with out them contact your demo today! We cannot wait to see what you create, so please come along and play with us. Mary Brown is our new Featured Artist! Congratulations Mary, your card is absolutely wonderful! We love how you used our traditional colors with so many unique twists, from the folded ribbon and cut out stars to the emphasized words in the sentiment! 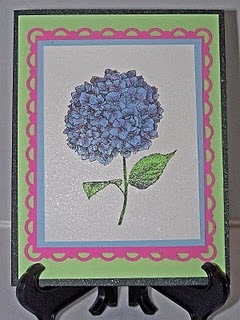 Go visit Mary's blog Stamper Camper's Corner to see this card and more. Thanks to all of you for joining last week- what a great turnout- but you sure make it hard to choose! 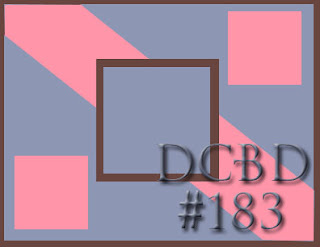 Please join us again tomorrow for another color combination challenge. Good morning everyone! It is Wednesday again and its time for the Diva Challenge of the week! This week we have a Sketch challenge for you! Remember we have the last chance lists available on Stampin' Up! You don't want to miss out on these items....once they are gone, they are gone for good!! 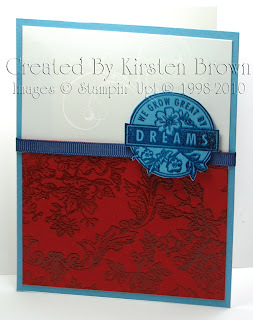 Our next Featured Artist is Krista Fenton at Krista's Stamp Spot! 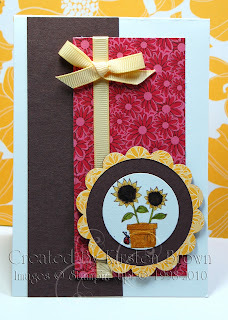 We loved Krista's use of beautiful Designer Series Paper, combination of stamps and the beautiful layered flower! 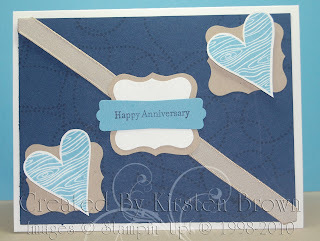 Be sure to check out Krista's blog for other great cards! Thanks for playing along Krista!